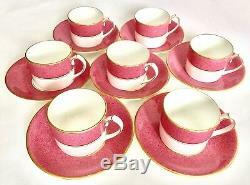 Set of 6 Rare Vintage Aynsley Senator Bone China Tea / Coffee Cups & Saucers. 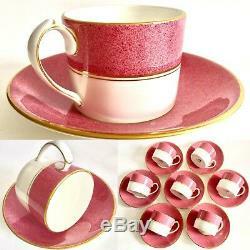 Lovely set and in perfect condition. Please browse all 12 photographs for size, weight and condition as they are self explanatory. 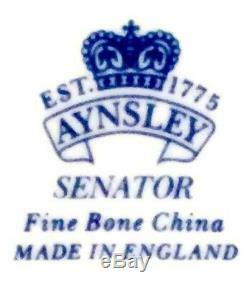 Aynsley is one of the most esteemed pottery manufacturing companies worldwide, Aynsley China's story is one built on dreams. John Aynsley was the chairman of a local coalmine in Stroke-on-Trent, England. 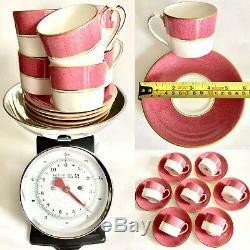 He had a passion for collecting tableware and ornamental pieces, specifically pottery and lusterware. On a whim, he decided to turn his obsession with collecting into a pottery business. In 1775 John Aynsley opened the doors to his dream in Longton (formally known as Lane End) and soon developed a reputation as a master potter. Aynsley used local Staffordshire clay and elaborate designs created from his own engravings to win a loyal audience in Stoke-on-Trent. Aynsley poured his heart and soul into the new business, and due to his efforts his company would prosper. When John Aynsley was older, he turned the business over to his son, James. However, it was James' son John Aynsley II who carried the company to heights that the founder could only have dreamed of. 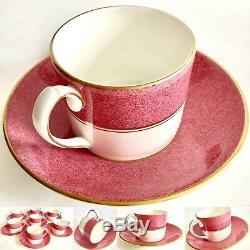 John II changed the company's focus from pottery to fine bone china. He altered the manufacturing process by using 50% "calcined bone ash" in his porcelain compound. 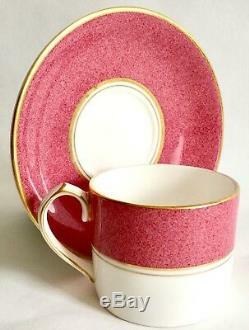 Use of this additional component led to Aynsley's bone china being very strong, translucent, and exceptionally white. Utilizing this process called for a new factory. "Portland Works" opened a short time later in Stroke-on-Trent. As more of Aynsley's unique designs became popular, Aynsley China began to build a significant reputation. Important people started to take notice, with Queen Victoria in particular noticing the work of the fledgling company. She commissioned Aynsley China to produce a set of ornate tableware for her personal use. 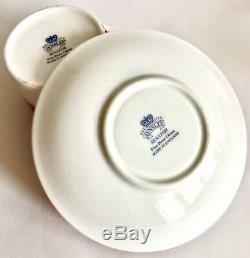 Having a commission from Her Majesty The Queen allowed Aynsley China to use the royal family seal in its logo, affirming the company's reputation, and a place in dinnerware history. (More recent commissions from royalty include gold embossed sets for Queen Elizabeth II and her son, the Prince of Wales). John Aynsley II was a very creative man, driven by a passion that rivaled that of his grandfather. Growing up in very modest circumstances required that John start work at the age of nine. As he became older, he would work 16-hour days in various pottery factories. 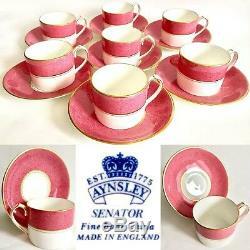 By the time he was handed responsibility for Aynsley China, he had acquired a vast body of product knowledge. 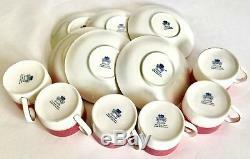 John II brought great success to Aynsley China and prosperity to himself. He was elected the Mayor of Longton in 1886, and immediately set to acquiring new land and funds for parks and a much-needed community hospital. He was a very kind and honest man who gave his all to his business and community. 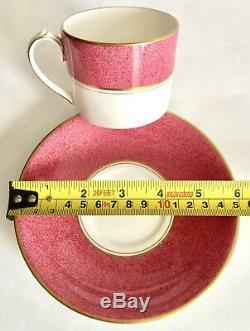 While many of today's china making processes have become mechanized, Aynsley is still known for craftsmanship and techniques for the production of china, collectibles, and giftware that are similar to those in place when the company was started. Over 850 are employed at the "Portland Works" production facility today. Aynsley China has been one of the most influential companies in the British tableware industry, with classic designs like Wild Tudor, Pembroke, and Cottage Garden ensuring the success of the company for years to come. 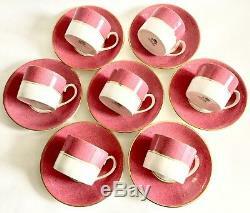 The item "Set of 6 Rare Vintage Aynsley Senator Bone China Tea / Coffee Cups & Saucers" is in sale since Thursday, August 30, 2018. 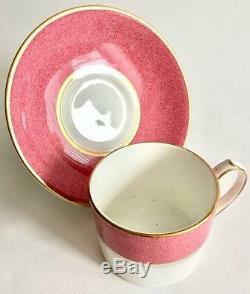 This item is in the category "Pottery, Porcelain & Glass\Porcelain/China\Aynsley\Tableware". The seller is "santoor-uk" and is located in Manchester . This item can be shipped worldwide.